This new tax bill has really gotten some press coverage, huh? And let's be honest, it hasn't been too good. So, how about some real analysis so you can use it to your advantage instead of worrying about how it's going to be detrimental? By Bunching Deductions, You Can Deduct More Than Your Expenses! Given that the new tax bill contains a higher standard deduction and limits itemized deductions, is there a way to have your cake and eat it too? If you have some flexibility around your deductions, it may be possible to get the best of both worlds and leverage your deductions beyond what you're actually paying on an bi-annual basis. 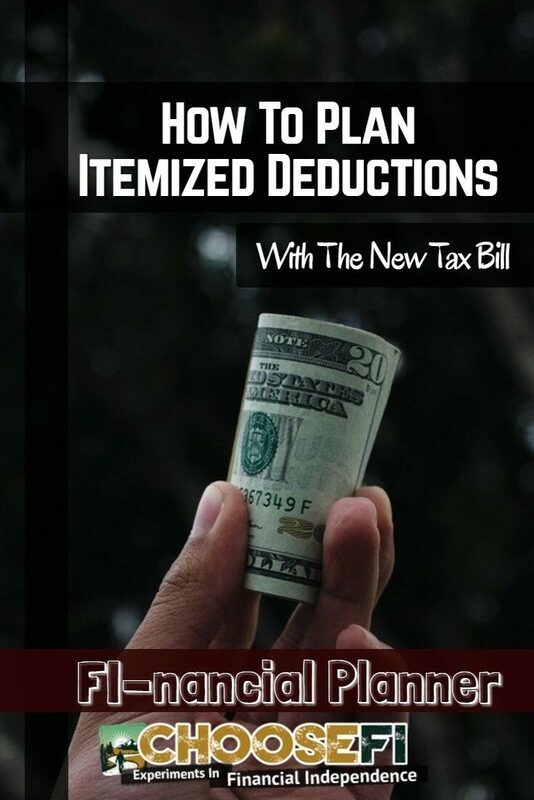 With the new tax bill approximately doubling the standard deduction, for many taxpayers it will be best to simply forget about itemizing their deductions and just default to the standard deduction. For those taxpayers whose itemized deductions are close to the new standard deduction, there may be more prudent planning needed to take better advantage of their deductible expenses. If you can time when you pay deductible expenses such as mortgage interest, property and income taxes, and charitable deductions, you can take advantage of that flexibility to bunch your deductions in one year and then claim the standard deduction in the next. I will dig into these different deductions separately below, explaining how each deduction works and how to use timing to your advantage. Mortgage payments have a minimum of two components: The interest and the principal. For some homeowners, property taxes and insurance are included via escrow. If you have escrow, do yourself a favor and call your mortgage company about removing it. You don’t need to be providing them an interest free loan. If you have the self control to save up for your annual property tax and insurance bills and actually pay them on time, you should do it without escrow. The way to bunch deductions on your mortgage would be to make one mortgage payment early every other year. Confirm with your mortgage company or servicer that you can indeed make early payments before the due date. Also, make sure that they would be applied as a mortgage payment rather than an extra principal payment. In late December, you can make a payment to satisfy your January payment, but by paying it in the current year, you pull forward a portion of interest into this year. Essentially, you're getting 13 interest payments in one year and the next year you’ll get 11. Following the same principle above, if you pull forward a property tax payment into the current year, you can get two times your annual property taxes as a current year deduction. Once again, you’ll need to confirm this with your local tax assessor. Some jurisdictions are not setup to accept these early payments. In my county, next year’s tax assessment doesn't occur until May, so I base my prepayment on my prior year tax bill, and will pay any deficiency when the actual bill comes out. Note: You can’t do this if you are paying escrow with your mortgage payment. This is because the mortgage company is aggregating your property tax payments and making those payments on your behalf. The IRS recently came out with guidance saying that prepaying property taxes before you even receive an assessment or bill wouldn't be deductible, but I'd like to see what comes out of this going forward. I had already mailed my check by the time the IRS got to issuing the guidance. But, in the worst case scenario, I just lose the investment gains on that money over the next 12 months. This is another example where you should make sure to double check any advice you read on the internet! If you're self-employed and/or pay estimated tax payments, you can time these so you double up on deductions too. Paying your 4th quarter estimated taxes in December will pull forward the deduction into the current year. If you double it up with paying a year in January, you can get five payments in one year. Note: With the new tax bill, property and income tax deductions are limited to $10,000. For those with high incomes or high property tax bills, doubling up on deductions for income or property taxes may not be possible given this limitation. Alternative minimum tax used to be an issue here but it is no longer. The AMT thresholds are so high that you're likely to be over the $10,000 limitation and therefore losing deductions already. My Savings: Not Applicable since we're W-2 employees and don't make estimated payments. Side Hustle anyone? There are two ways to plan your charitable giving to bunch your deductions. Either actually give every two years or use a Donor Advised Fund (DAF). With a DAF, you can give a large amount in one year and distribute the funds in the future. Therefore, this may be a more appealing option especially if you would like to keep your contributions to charities steady instead of lumpy. For example, you can give $10,000 this year and distribute $2,000 per year out to your normal charities going forward. This way, you can pull forward five years worth of donations into the current year and the charities continue to receive their annual receipt. If you're just trying to bunch your deductions every other year to coincide with your taxes and mortgage payments above, doing a DAF contribution every two years may be the best option. The mechanics of opening a DAF vary based on the organization you use, but with Schwab Charitable, who I'm most familiar with, it's just like a new brokerage account. You fund the DAF with a minimum of $5,000 and pick an investment option. I would strongly recommend going more conservative than your normal investment mix. You're no longer investing your money, rather the charity’s money. Often, we will just invest the funds in a money market account! Note: There are fees associated with these accounts (0.6% in Schwab's case–$30 per year on a $5,000 account), you should compare the fees with your expected tax savings. Once the funds are in the account and you’d like to make the distribution, you just instruct the charitable fund (in this case Schwab Charitable) to distribute on your behalf. They'll write a check out to the organization–as long as it is a recognized 501(c)3. It’s important to note that DAF distributions cannot be used to meet any pledge obligations, so keep that in mind if you’ve already got a pledge established or plan to potentially make a pledge and hope to use this method to satisfy it. Finally, one of the other great benefits of a DAF is to make contributions of appreciated stock. Using appreciated stock allows you to get a charitable deduction for the fair market value (limited to 30% of AGI) without having to incur the gain on the sale. Afterwards, you can use the cash you would have otherwise given to the charity to repurchase the shares that you gifted, at a higher cost basis! In my case, our itemized deductions were just above the new standard deduction amount. With these timing techniques, I’m pulling forward roughly $8,000 worth of deductions into the current year. In the end, I’ll have about $35,000 of itemized deductions this year. Next year when my deductions decrease to roughly $19,000, I’ll take the standard deduction of $24,000 instead. All told, I’ll be paying the same amount out of pocket at $54,000 over two years, but will get credit for deductions of $59,000! If you'd like further reading on this subject, I recommend Michael Kitces' article on all the changes of the tax bill. He discusses this strategy of bunching deductions near the bottom of the article. But, I'm sure you'll want to read the whole thing for the pleasure! RE State and Local Tax (SALT): Good news: This is not true! A W2 employee can still deliberately over-withhold State income taxes from their paycheck every other year (up until they hit the $10k SALT limit) to further optimize this strategy. I’m personally in the same boat and have already mapped out my plan and budget for 2018 to max out my Schedule A Itemized Deductions. As you said, this doesn’t save you money itself since you’ll correct for it in the following year, but it effectively lowers the bar for your legitimate deductions. For the Excel junkies, you have to check out excel1040.com. You can do some pretty amazing goal-seeking with this thing. I work backward every year to see what I can do to remain in the 15% (now 12%) bracket while optimizing around things like Child Tax Credit. I’d be happy to upload an example file to the vault. That’s an interesting way to approach it. My fear would be that next year’s refund of overpaid tax would negate the benefit and/or push you into a higher tax bracket in 2019. Good point about allowing you to get credit for your other deductions in that year. I’ll have to check out the excel1040 site to see how it compares to our tax projection software at work. Thanks for the suggestion. 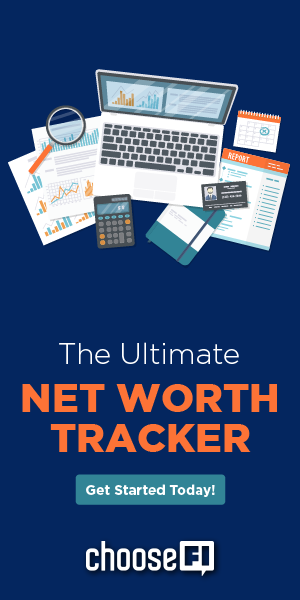 “My fear would be that next year’s refund of overpaid tax would negate the benefit and/or push you into a higher tax bracket in 2019.”… Agreed, this approach is for those with OCD. But to turn that around the other way, with the knowledge and some very simple planning, it makes for a great motivator in the following year to trim your expenses just a bit more. On the other hand, you’ll only be paying 11 months mortgage P&I and will be making significantly less charitable donations (if any) that following year even though you still get the full standard deduction. In my case, I’d say the affect on my cashflow is probably a wash. I just realized I left out the part about how we have a little wiggle room in our 401k, 403b, 457, and t-IRAs each year. so what I mean is if I can lower my expenses in the following year, I have the ability froma cashflow perspective to dump a little extra money in my pre-tax buckets in the standard deduction year to offset the adjustment for previous year state refund. In this way I basically fill out my 15% marginal tax bracket every year to the dollar GoCurryCracker-style. The next dollar earned in that year gets split 50/50 pretax and post tax accounts to stay right at my magic number. That’s a great plan if you’re close to the bracket. We’re above that bracket fortunately, so we plow everything into pre-tax buckets except for Roth IRAs since we don’t get deductions for T-IRAs. I have thought about the wisdom of putting into a Roth but defaulted to continuing to put it in there while we can, figuring that it’s going to be better in a Roth than a taxable account. I don’t follow. If I’m normally in the middle of the (0ld) 25% Marginal Tax Bracket such that with either empty or completely full pretax buckets my last dollar is taxed at 25%, to me it still makes sense to consider using state income tax withholding as another possible lever for alternating years with optimizing the itemized deductions. I think we agree how the first year in which we take the itemized deductions works. For the second year, I think it is as simple as adding the state tax refund into my my AGI. I wrote it off against 25% in year 1 and now I’m going to pay it back against the same 25% bracket in year two. I think the things you might risk are 1) losing or phasing out any other credits or deduction based from AGI (child tax credit no longer affected for most people in 2018, but student loan interest would be one) and 2) this delta putting putting you up into the next bracket in that 2nd year. But, for #2, the standard deduction should help you counterbalance. clarification: when I said post-tax. I meant after-tax retirement account (Roth-IRA). The only non-retirement account investments we hold are rental property and shares in my employer’s share plan. I think the reverse is true actually. If you are firmly in the 25% bracket, then you’re accelerating deductions in year 1 and saving 25% on the excess withholding (say 250 on $1000 of withholding). In year two, you can decrease your withholding and increase your take home pay. In year 2, you also have the refund being taxed at 25%. It seems like you’d be reducing your 2018 take home to increase your refund in April 2019 and increase your take home in 2019. You’ll owe the tax in April 2020. If you’re in the same tax bracket in both years, it seems like the net savings is a wash and you’re potentially losing the interest on the excess 2018 take home pay. I think this is much more of a useful exercise if you’re on the edge of a bracket and can get into a lower bracket by employing this strategy. The risks of losing credits or phasing out deductions & being pushed into the next bracket are what I’d be more concerned about, but it should be easy to estimate what next year’s taxable income will be. yeah, I think you’re right in paragraph 1. We agree on paragraph 3. I think anyone doing this is probably already estimating the next year optimization. RE Paragraph 2: What you are trading off with the opportunity cost of the state holding on to your prepaid income tax, is being offset by being able to write off more legitimate deductions that would have otherwise not have had any benefit. To use numbers: I’m going to over-withhold $1k in 2018 in state taxes which is going to unlock $1k additional charitable donation deductions which I would not otherwise get. 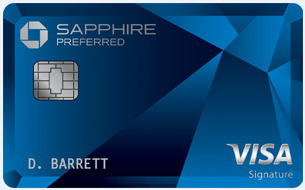 I’m basically going to save myself (or the charity if you prefer) $220 in taxes to Sam. This is offset by opportunity cost of having that money not earning interest from 12/31 to whenever I get my state refund a couple months later… let’s say we get state refund April 1st. $1,000*6.5% cost of not being invested in stock market * 25% of a year = $16. I agree in your situation where you’re trying to get the benefit for the charitable contributions, this would be a way to make that happen. I think I misunderstood the impact on your other deductions earlier. I’m sure you’ve thought about the other concerns here, but I would make sure you’re not approaching the 10k annual limit on state taxes including any property taxes.